Are There Benefits to Feeding Haylage to Horses? Feeding haylage to horses is common practice in Europe, but it hasn’t been so quick to catch on in Canada. Robertshaw, who is from England, has fed haylage to his own horses for 10 years. He says it provides a high-quality, consistent feed with no dust issues. “It’s not silage,” he stressed. 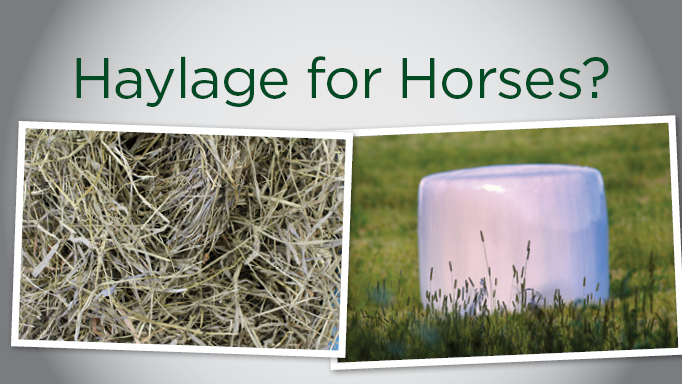 Nor is making haylage a salvage operation – you need to be making haylage right from the day you cut it. The resulting sweet-smelling feed looks just like regular hay. Dry hay takes five days to harvest; haylage only takes two, which is where an advantage lies given our unpredictable rainfall. The goal is to make rock-tight bales at between 20 to 30 per cent moisture. In comparison, dry hay is around 14 per cent moisture, while silage is over 50 per cent moisture. Each bale is tightly wrapped within 24 hours of baling using six layers of plastic, sealing out the air that will make a bale go bad. The plastic-wrapped bales need at least four to six weeks to ferment before they can be fed. They should be inspected regularly in storage to ensure the wrap hasn’t been damaged. Robertshaw said in the colder months a bale will stay good for two to three weeks once open, but that bales need to be used up faster in the summer when the heat may cause them to spoil more quickly. 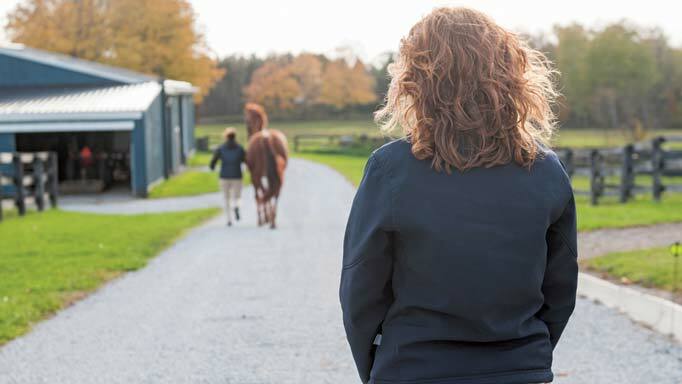 Dr. Tee Fox of Markdale Veterinary Services said haylage is a good feeding option, especially for horses with respiratory issues, but she says horse owners must understand there are potential risks. Haylage may be too rich for horses with metabolic issues or those that are prone to laminitis, and there is a risk of botulism contamination. Botulism spores that lay dormant in soil will grow in warm, slightly alkaline conditions in the absence of oxygen. Contamination in haylage may come from the incorporation of soil or dead animals in a bale. 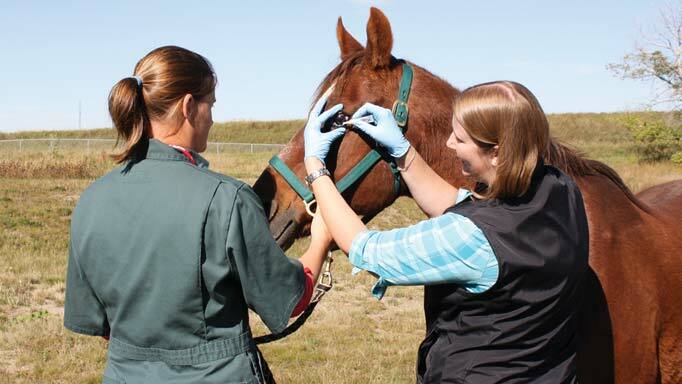 A botulism vaccine is available since horses are sensitive to the neurotoxins. 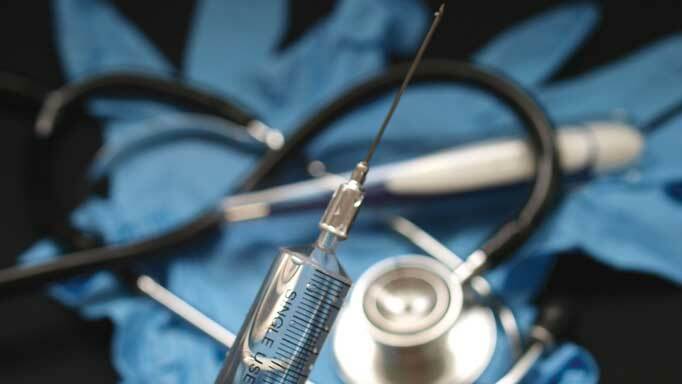 Learn how to administer ophthalmic medications confidently and efficiently.